New Yorkers may have to put up with the hassles of a construction boom in their area, but they’ll be happy to know that they’ll be reaping the benefits as soon as new structures are set to rise. At the moment, Jonathan D. Epstein of Buffalo News reports that the construction industry is enjoying the new developments as opportunities open up to construction workers. 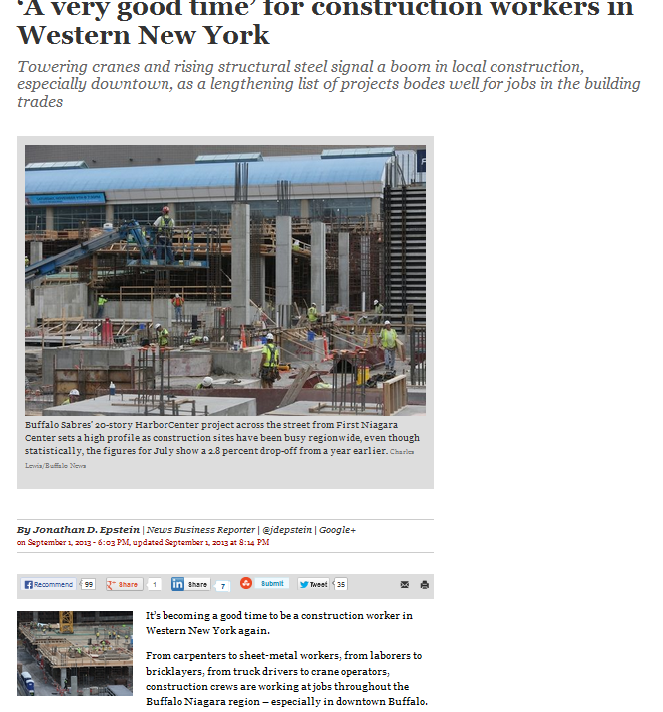 It’s becoming a good time to be a construction worker in Western New York again. From carpenters to sheet-metal workers, from laborers to bricklayers, from truck drivers to crane operators, construction crews are working at jobs throughout the Buffalo Niagara region – especially in downtown Buffalo. Right now, workers are building the interior of One Canalside, soon to be home to Phillips Lytle LLP and a Courtyard by Marriott hotel. Along with this big push comes a huge rush for manufacturers of construction equipment and supplies. A major fixture in construction projects are, of course, forklifts, and many companies prefer propane-powered ones because they are more durable and cheaper to operate. However, manufacturers of these machines must use high-quality Spence PRV (pressure reducing valve) units to guarantee a steady flow of downstream force. To ensure safety at a construction site, forklifts must be fitted with a perfectly compatible Spence valve, which is created by one of the most recognized PRV brands. Valves that don’t fit properly may cause propane gas to leak out while in operation, which can jeopardize the health and safety of workers as this is a highly flammable gas. Thus, it is vital to buy parts from reputable suppliers like A.L.B. Industrial Supplies, Inc.
New York’s construction industry may be on the upside, but for workers to be efficient, they need fully functioning forklifts to do the tasks expected of them. Manufacturers must do their part to help this industry out by ensuring that they always use parts and supplies of first-rate quality.